Lost Maples State Park is in Tx. The color change each year in Nov after we have had a number of cold fronts and temp has dropped. 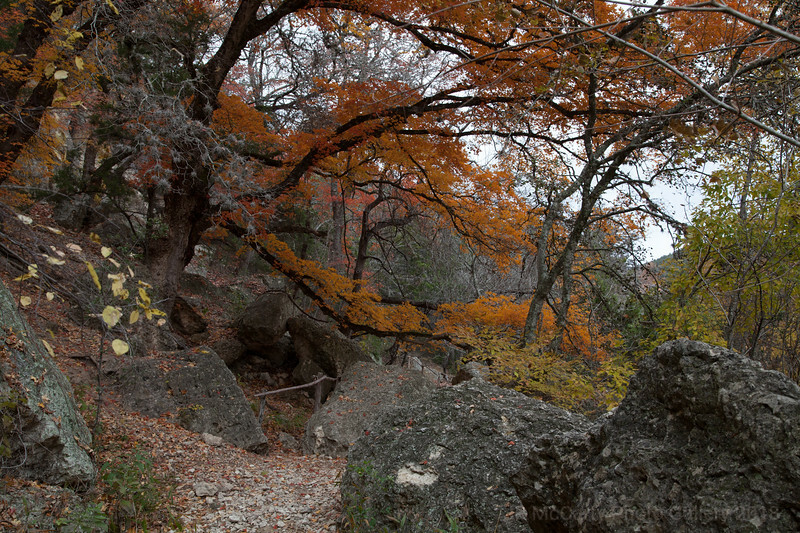 Taken at Lost Maples State Park in Texas, In Nov the trees start to change colors. If you plan to go, go early!! When we left at 2:30, the line to get in the park was 300 ft down the road leading to the park.